The Ninja’s Program takes the needs and energy levels of the 9 to 12-year-old age group and challenges them to set goals and achieve them. Students practice self defence, bully busting and stranger awareness skills while progressing through the sport of Taekwondo. 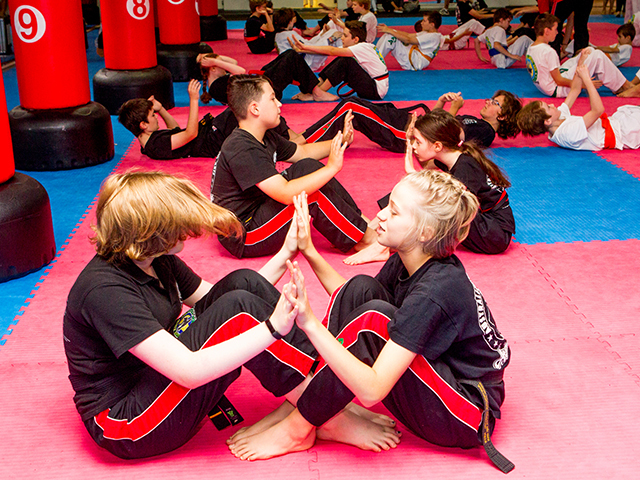 Students are consistently challenged by class programs which change every week, clear belt based content and the options of progressing into many advanced programs. 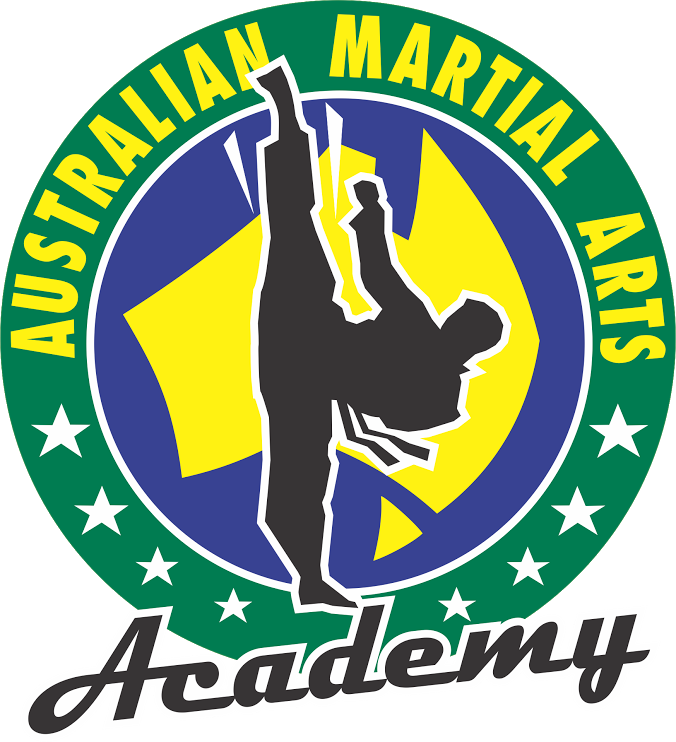 These include advanced kicks and tricking techniques, sparing, patterns, advanced self defence and demonstrative weapon routines. 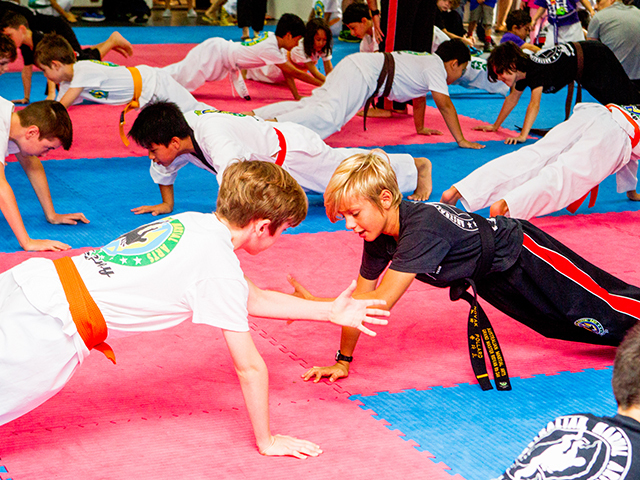 Your child will be encouraged to take care of their body and have a positive attitude and work ethic while ensuring that each class boasts a great fitness, flexibility and strengthening component. Watch your child develop into a focused, driven young person with healthy life habits as the instructors chat regularly about the challenges this age group face including managing stress and emotions, decreasing screen time, taking responsibility for themselves and their body and having a positive attitude. The Ninja’s program has been developed over our 35 years of experience to work in accordance with the needs of this highly evolving age group to ensure that they are ready for the social, physical and mental requirements of high school. Our dedicated team is ready to make sure that your child is set up for a successful life ahead. Started our first session today, and our son enjoyed it so much. Thank you and looking forward to many more sessions to come. Two of my daughters are currently enrolled in the Ninjas Program at the academy. They are 9 and 11. Initially, i was reluctant in getting them involved as i didnt know what to expect. But from the moment we walked in to AMA, the staff were friendly and accommodated my shy girls right from the get go. They are now hooked and loving the classes. One of the best decisions we have made as a family. I highly recommend AMA Marrickville for kids to build self esteem and self respect. My 10 year old son has been attending regularly for almost 3 years now. He has also attended quite a few of the school holiday camps which he loves too. His confidence has increased significantly and I attribute that to AMA. Sarah has been so supportive when he was going through a tough time; when no one else was interested. I love all the teachers here they’re all so kind and excellent at what they do!